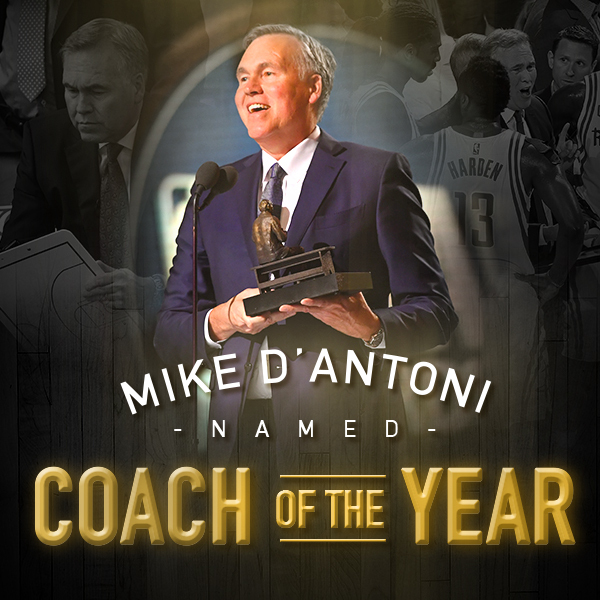 New York – Houston Rockets head coach Mike D’Antoni earned 2016-17 Coach of the Year honors Monday at the NBA’s first-ever awards show in New York City, beating out fellow finalists Gregg Popovich and Erik Spoelstra. 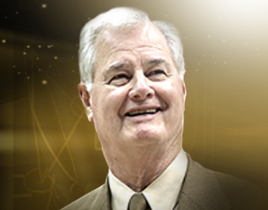 D’Antoni was hired by the Rockets after a disappointing 2015-16 season in which they went 41-41 largely under the guidance of J.B. Bickerstaff after Kevin McHale was ousted after 11 games. And while the move was met with some skepticism, D’Antoni proved to be the right man for the job. Not only did the Rockets improve by 14 games in the win column to finish as the Western Conference’s No. 3 seed, but they fielded a potent and wholly unique attack thanks to D’Antoni’s desire to capitalize on pace and space. Specifically, the Rockets ranked second in offensive rating (111.8) and shattered the Golden State Warriors’ previous NBA record by making 1,181 threes as a team. All told, the Rockets attempted 3,306 triples—good for 40.3 per game. D’Antoni also made a drastic change when he installed James Harden as the Rockets’ new point guard without hesitation. That move paid off as Harden proceeded to average 29.1 points, a league-high 11.2 assists and 8.1 rebounds to join Oscar Robertson as the only players to top averages of 29 points, 11 dimes and eight boards over the course of an entire season. Now in possession of two Coach of the Year trophies (his first came following the 2004-05 season with the Phoenix Suns), D’Antoni will attempt to lift the Rockets back to the Western Conference Finals as they eye redemption following a second-round playoff exit at the hands of the San Antonio Spurs.